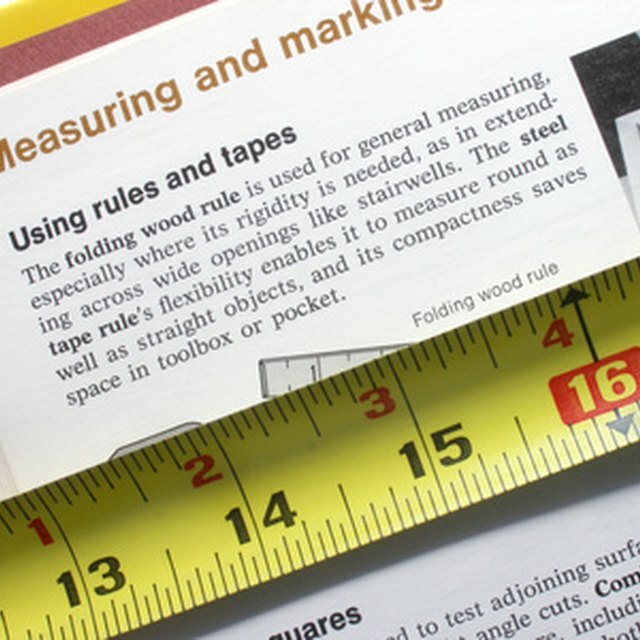 The metric system (centimeters and meters) is most widely used today, but some businesses still use the imperial system (feet and inches). If you know a height in centimeters or meters and need to know the equivalent in inches and don't want to do any math, the easiest way is to refer to a chart. Many different charts are available online. Using a height chart is quick and simple. Find the value in centimeters or meters on the chart, then check to the right or left of that value to find the equivalent in inches. Also known as the International System of Units (SI), the metric system is an international system of weights and measurements. Adopted in France in 1795, it uses the meter for length and the kilogram for mass. The metric system is now used officially in almost all countries. The United States is the only industrialized nation that still relies mainly on the imperial system. The imperial system, also known as British Imperial or Exchequer Standards of 1825, was first defined in the British Weights and Measures Act of 1824 and was the basis of the United States Customary System of weights and measures. The imperial system uses inches and feet for length and pounds and ounces for mass. Many different types of height conversion charts are available online. Compare different charts until you find one that suits your needs. You may want a simple chart that converts meters to feet or centimeters to inches. However, it helps to know the “feet and inches” measurement for height, so look for a chart that provides those values too. When you’ve chosen your chart, record the height again to ensure you have the correct measurement in centimeters or meters. Write it down. If your measurement is in centimeters and your chart only provides meters, you can easily convert your value by dividing it by 100. For example, 180 centimeters is 1.8 meters. Convert meters to centimeters by multiplying by 100. Follow the chart until you find your height value in centimeters or meters, then check to the right or left of that value to find the value in inches or feet and inches. For example, a height of 190.5 centimeters is the equivalent of 75 inches or 6 feet 3 inches. You may have to take an approximate value because a chart typically provides for whole numbers. For example, if the height is 165 centimeters, the nearest equivalent in inches is 65 inches (5 feet 5 inches) which is 165.1 centimeters. If you don't have a chart, you can convert height to inches by multiplying the value in centimeters by 0.3937. For example, if a height is 1.6 meters, convert it to centimeters by multiplying by 100. In this case, the height is 160 centimeters. Then work out 160 x 0.3937 = 524.928. The height is 62.992 inches. Gillespie, Claire. "How to Convert Height to Inches on a Chart." Sciencing, https://sciencing.com/convert-height-inches-chart-8168044.html. 03 May 2018.